With Microsoft Windows 10 Fall Creators update many users have ran into problems updating becuase their computer was installed with a too small EFI partition (100 MB). I’d consider this a warranty issue with the computer supplier, becuase obviously the computer wasn’t Windows 10 ready. The problem is that the hardware supplier will happily take your machine in, erase it and factory install it with a new Windows 10 image with a bigger EFI, but you will lose all your data. A solution would of cause to make a backup and let them erase the machine but some of my clients have computers that will take 1-2 work days to reinstall and configure all software. So resizing the EFI is preferred. Backup, backup and backup all your data! If something goes wrong this is your life line. Meltdown and Spectre vulnerabilities – what to do? Meltdown and Spectre are two vulnerabilities present in hardware making it potentially possible for programs to steal information, like passwords etc. Meltdown affects only Intel processors while Spectre, which is more complex, also partly affects AMD and ARM based processors. It is not yet known if these vulnerabilities has been exploited by anone. It can affect personal computers, servers, tablets and mobile phones, i.e. more or less any device containing a processor. https://nerdia.net/wp-content/uploads/nerdia-logo-340x156.png 0 0 Stefan Helander https://nerdia.net/wp-content/uploads/nerdia-logo-340x156.png Stefan Helander2018-01-04 10:11:112018-01-11 10:28:53Meltdown and Spectre vulnerabilities - what to do? I had retrieved a harddisk out of a broken laptop containing Windows 10 in order to retrieve some files from it. The harddisk had been removed from the broken laptop and then installed in a HDD enclosure with USB connection. When I connected it to a Windows computer I could browse the Users folder but clicking on a user’s folder displayed a message that I didn’t have permissions to open it unless I continued as administrator. After the progress bar had went to 100%, I still couldn’t access the folder. Instead I connected it to a Linux/Ubuntu computer and now the message “The NTFS partition is in an unsafe state. Please resume and shutdown Windows fully (no hibernation or fast restarting), or mount the volume read-only with the `ro` mount option.” was displayed when connected. The original laptop had been in a hibernate state when it broke which locks the filesystem. It turned out that the easiest solution was to connect the USB harddrive to a laptop and press F10 to select boot device during boot up (the key might be different depending on brand, on my Samsing it was F10). I selected the USB harddisk and it booted after fixing the disk automatically. I was actually a bit hesitant to do this because I know from earlier Windows version that it usually was a hopeless task to boot on a harddisk that had been moved from one host computer to another. In Windows 10 it looks like they have fixed this. I could log in to Windows as the original user and retrieve the files. After shutting it down in a controlled manner, it was also possible to mount the disk in Linux/Ubuntu.. In Windows 7. 8 or 10 Contacts there is only a possibility to import contacts in CSV format. If you have your contacts in VCF files you need to use Windows Live mail program in order to import them. First of all, if you have your contacts in many different VCF files it can be convenient to combine them into one single file. That way you can import one file instead of thousands. This post describes how to combine them. Install Windows Live mail on your computer. Open Windows Live mail and configure your mail account. Select your VCF file and import it. USB memory sticks or external disks that has been formatted on a Mac might not be readable if you connect it to a Windows computer. The reason is that the Mac has formatted it using a file system unknown by Windows. 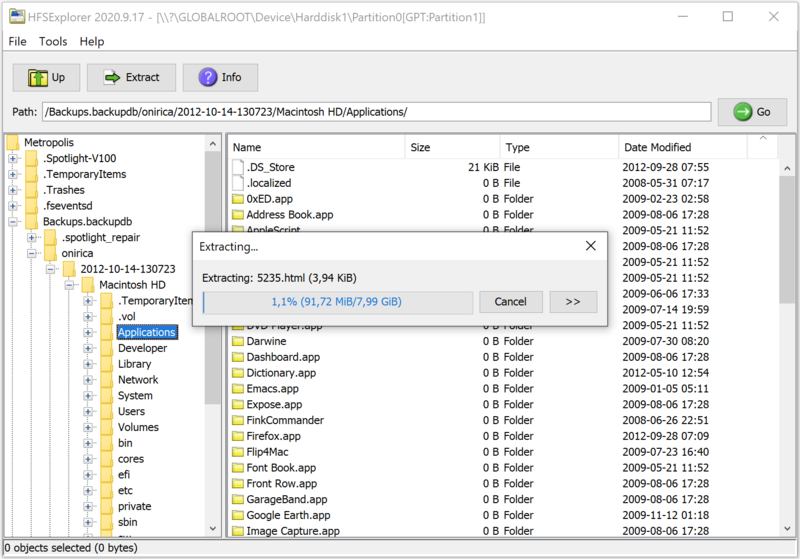 To read the disk you can use the free tool hfsexplorer. If you have your contacts exported into .vcf files, they can easily be imported into for example iCloud, Google or your email program. However, if you have a couple of hundreds or thousands of contacts, and equally amount of .vcf files it will be very inefficient to import each contact one by one. A solution is to combine all contacts into one single .vcf file. By importing the combined .vcf file all your contacts are imported at once. To combine all .vcf files into a single one can easily be done using a Windows command prompt (cmd). Now import the file allcontacts.vcf into iCloud or similar. There are several third party products available to connect a Windows client to a WebDAV drive. This guide will explain how to do it with using native Windows and has been tested using Windows 7 but should work for other versions too. For Windows server 2003, Windows XP and Vista users, you first need to download a web folders patch from Microsoft. It is a recommendation that you connect to the WebDAV drive using encryption (SSL), i.e. https. If you have a real, non self signed, certificate for your host, you’re good to go (the one that makes they key symbol in your browser show locked, green and give no warnings). Just skip down to the section describing how to setup the connection. If you are using a self signed SSL certificate, or signed by a non trusted certificate authority (CA), you will get the error message “An unexpected network error occurred” when trying to connect the WebDAV drive. If you are using a self signed certficate, make sure it is issued for the hostname you are accessing the WebDAV drive through. If not, you must create a new certificate issued for the hostname of your WebDAV host. No workaround on that part as far as I know. When your SSL certificate is sorted out (either by using a real certificate or a self signed one using the above steps), you are ready to map the network drives. This will a result in a list of all remote IP-addresses connected using RDP to the server. If the server is using a non-standard port for RDP, replace 3389 with the non-standard port. After connecting by remote desktop to a machine, the initial welcome screen is displayed then the screen goes black. Press CTRL-ALT-END and wait (it might take a while). When the Cancel button is visible, hit Cancel. Now the screen goes back to normal.